Sometimes we find a gaming laptop deal we just can’t ignore. 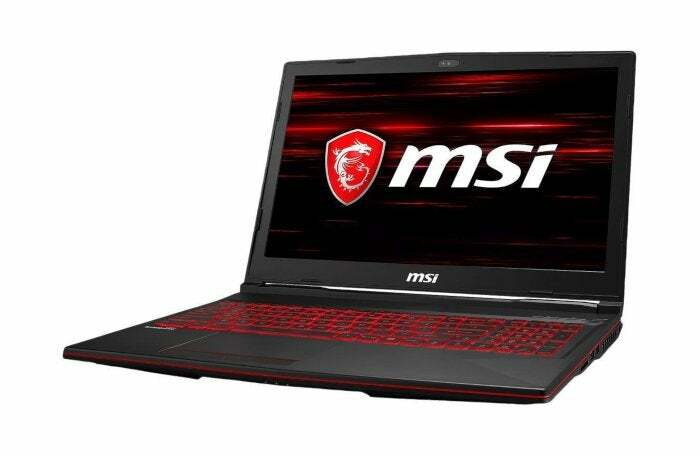 Right now, Newegg’s selling the 15.6-inch MSI GL63 for $530 after a $150 mail-in rebate and a $20 discount with the checkout code EMCEREX25. You’ll probably need to supply your email address to Newegg to use the checkout code, but even at $550 this is a pretty great deal. Game-ready laptops almost never sell this cheap. MSI’s laptop is loaded with goodies. It’s got a 15.6-inch 1080p display, a quad-core 2.3GHz Core i5-8300H processor, 8GB of RAM, a 128GB SSD, and a 1TB hard drive. For graphics it’s rocking the Nvidia GeForce GTX 1050. Now, truth be told we’d prefer to see a GTX 1060 or even a GTX 1050 Ti on this laptop, but that would jack up the price, and the GTX 1050 is still a solid card for 1080p gaming at mid-level settings for big triple-A games. Beyond the graphics card, the SSD is rocking the NVMe interface, making it zippier than standard SATA SSDs. The display is also pretty awesome with a 120Hz refresh rate and a 3 millisecond response time. The laptop also has one USB Type-C, and three USB 3.1 Type-A ports. Oh, and the keyboard is backlit with red LEDs, because gaming. You get a lot for your money with this laptop deal.